Belfast and other towns in the north of Ireland were plunged into chaos tonight following dozens of co-ordinated bomb alerts and other disturbances. Following intense controversy over his continued detention without charge, Colin Duffy was brought to court this [Friday] morning and formally charged in connection with the ‘Real IRA’ attack on Massereene British Army base earlier this month. Widescale PSNI raids and detentions have taken place in the Craigavon and Lurgan areas of County Armagh over the course of the past two weeks. PSNI Chief Hugh Orde is in talks with the British government to secure up to 76 million pounds extra over the next two years to bolster the force’s efforts against republican armed groups in the Six Counties. Sinn Féin president Gerry Adams has said the recommendations of a British “legacy” panel are incapable of addressing issues of truth and reconciliation in the past conflict. 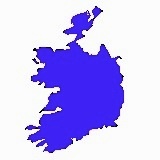 Widespread strikes threatened for Monday in the 26 Counties have been called off after an invitation to the country’s largest unions to resume talks on a new national agreement on economic recovery was accepted. A veteran republican who was the first female Sinn Féin deputy mayor of Belfast died last Saturday at the age of 72. Over the course of recent weeks the state has intensified its intimidation of Shell to Sea campaigners. A Belfast judge ordered today that those being interrogated by the PSNI over attacks by breakaway IRA groups early this month be released or charged. Two men who were arrested last week in connection with dissident in which two British soldiers and a member of the PSNI were killed earlier this month have been released without charge. Celebrations burst out across Ireland tonight after the national team clinched its first Grand Slam in 61 years. 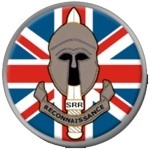 The British government has rejected any idea of engagement with militant republican groups. Nationalist youths threw petrol bombs and other missiles at the PSNI on Saturday following an aggressive raid and arrest operation in Lurgan and Craigavon in north Armagh. Republican Sinn Fein President Ruairi O’Bradaigh has derided Martin McGuinness’s condemnation of the breakaway IRA groups as “traitors”. The Relatives For Justice group is to mount a legal challenge to PSNI Chief Hugh Orde’s decision to deploy special British armed forces in the North. The Irish political establishment was broadly enthusiastic following the annual St Patrick’s Day ‘bowl of shamrock’ ceremony and celebrations in Washington DC with the new US President, Barack Obama. The British government has been asked to investigate the leniency of sentences handed down to two loyalists who used a PSNI database to gather information in preparation for attacks on nationalists. eirigi chairperson Brian Leeson issued the following statement on Monday, clarifying that no member of the group has been arrested in connection with last week’s attacks. Who is McGuinness to talk of treachery? Many years ago I looked up to Martin McGuinness. Most within the ranks of the Provisional IRA did likewise. Prominent Lurgan republican Colin Duffy has been arrested by the PSNI police following a series of early morning raids across the North of Ireland. Different IRA factions may have come together to co-ordinate their actions in two deadly attacks this week. A meeting between Sinn Fein’s Mayor of Belfast and representatives of the unionist paramilitary UDA took place on Wednesday in a bid to ease nationalist fears following the recent violence. A collective “loss of memory” has descended among witnesses at the public inquiry into the murder Robert Hamill. A listening bug may have been placed inside the Vauxhall car that carried the Omagh bomb, according to a High Court document. 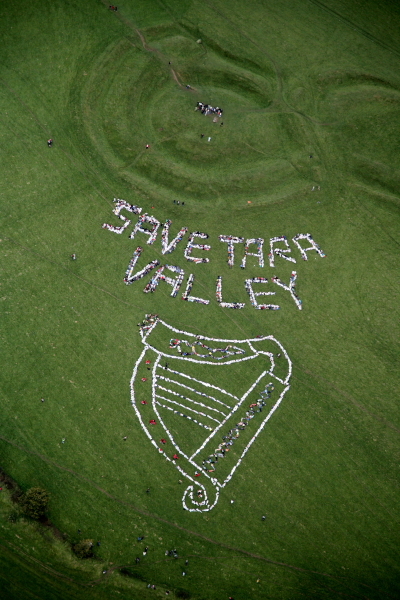 The campaign group TaraWatch says that it plans to “mobilise 50,000 supporters worldwide” to demonstrate against individual 26-County Ministers as they attend St Patrick’s Day functions around the world. The political institutions, the peace process and Sinn Fein are as much a target of the perpetrators of Saturday night's attack as those they killed or injured. Anyone who is surprised that “the dissidents” are still actively fighting will have had their head in the sand for the past number of years. And, of course, they are certainly not reading this. A member of the PSNI police has been killed tonight in a gun attack in Craigavon, County Armagh. Claims of responsibility have been made in the name of both the Real IRA and Oglaigh na hEireann for a gun attack on a British Army base on Saturday night which left two British soldiers dead. 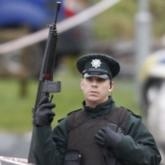 British soldiers in County Antrim have come under fire in a gun attack on a military base. 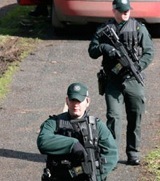 British Army special forces soldiers are back in the north of Ireland, according to PSNI Chief Hugh Orde. The passage of legislation to give effect to a deal on the transfer of policing and justice powers has seen sharp exchanges between the nationalist parties on the issue. The Dublin government is planning a new budget of cuts and taxes after the unemployment rate in the 26 Counties reached 10 per cent and is set to go higher. The future of the controversial Eames/Bradley proposals for dealing with the ‘legacy’ of conflict appears bleak after one of its authors lashed out at victims’ groups and Sinn Fein for seeking an independent truth recovery process. The British Conservative Party has said “Northern Ireland would be a better place” if politicians agreed to end power-sharing structures negotiated in the Good Friday Agreement. Republican Sinn Fein said approaches have been made by Special Branch and MI5 in an effort to get party members to turn informer. Veteran republican Eddie Keenan died at his home in Twinbrook outside west Belfast last week, aged 88.